Céad míle fáilte (a 100,000 welcomes) from the Emerald Isle! That’s right, the Beastie has landed! 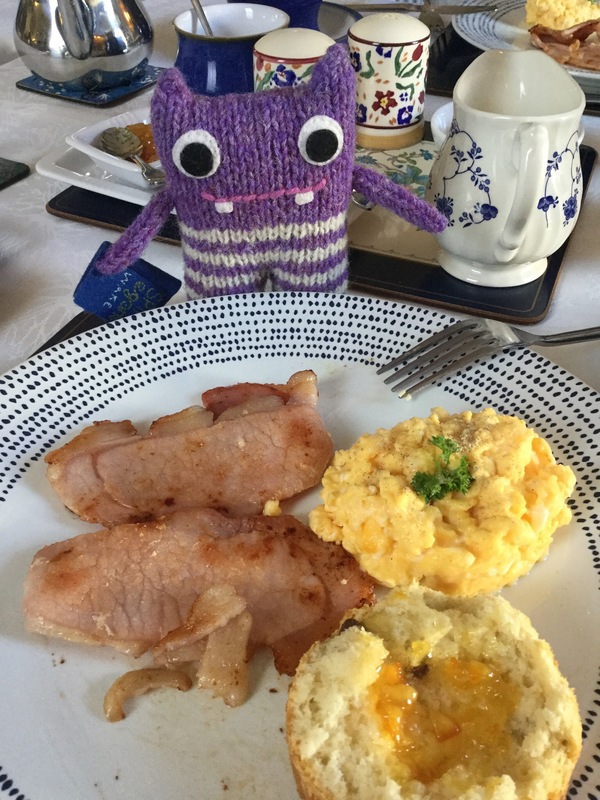 Finn McSpool is in Ireland, the land of his birth, for a couple weeks and is having far too much fun (read: drowning in stout and other libations) to do much of a post this week. Still, you know how he is. Despite the jet lag, he’s been eager for as many photo ops as possible and wanted to share a few pics to tide you over until he can start on a full trip report a couple Saturdays from now. 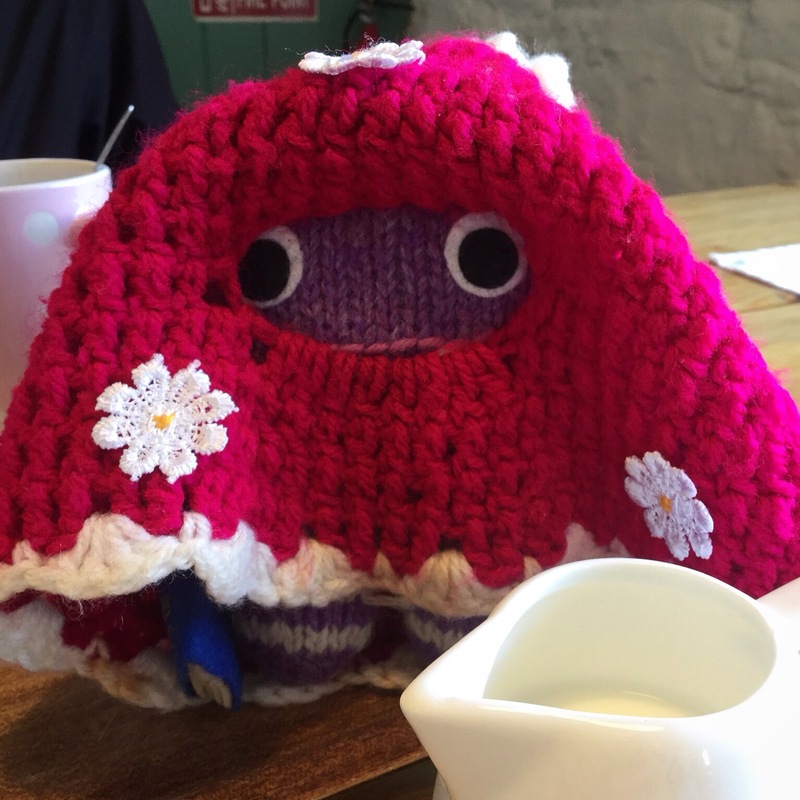 There we were, enjoying a nice cuppa, then Finn decided the tea cozy would look better on him than the teapot. 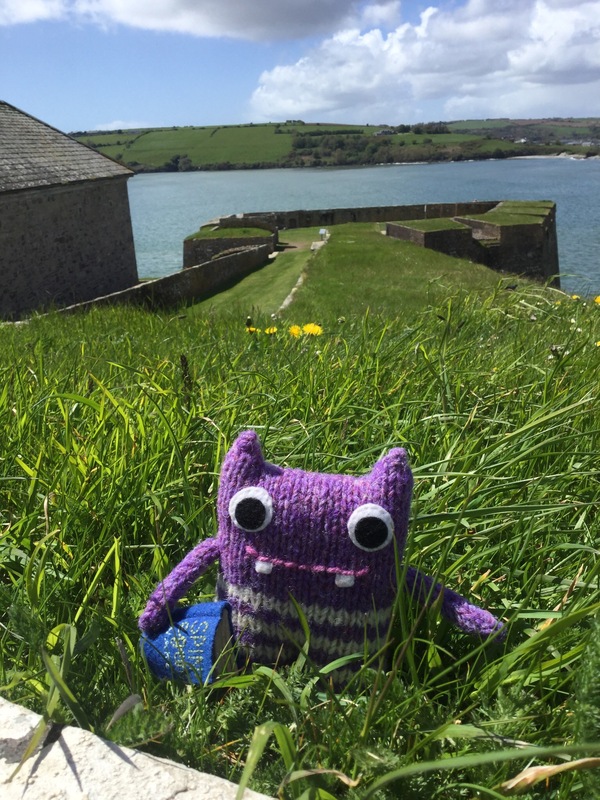 Enjoying a sunny day and cooling his paws in the grass at Charles Fort in Kinsale. 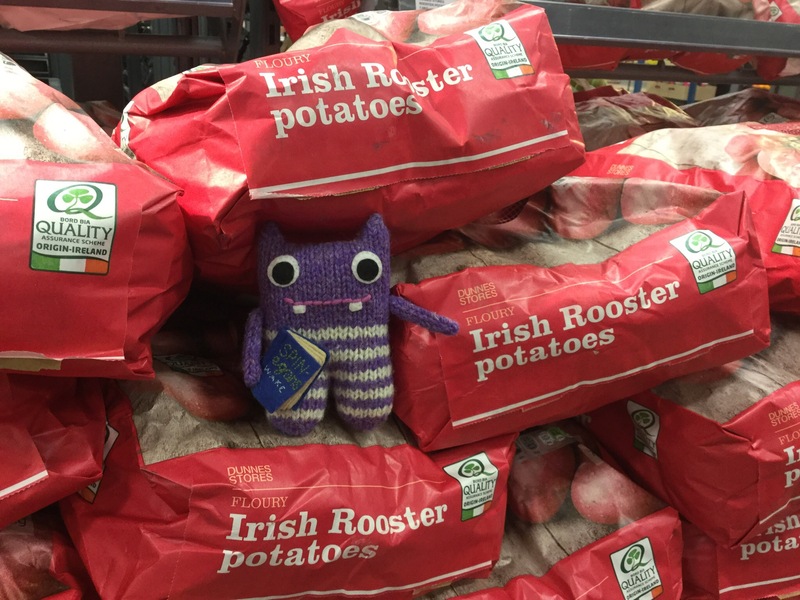 Finn declared he had found his Irish roots. Then I told him those were tubers. See you next Wednesday with another peek at the myths that went into creating my upcoming book, The Bonds of Osteria. PS – Apologies for any non-Finn weirdness with this post. Let’s just say the WordPress app is a nightmare to edit on. I honestly don’t know how he maintains his figure with all this food and no exercise. I am glad he’s not gaining weight though since I have to lug him around in my backpack all day. They do have a pretty sweet life, these Beasties. Discovering humans must have been the best thing that ever happened to them! 😀 Besides, he probably thinks he’s doing YOU a favour with all this cardio you’re getting. And now there’s two more to lug around. At least Finn had the good sense to be a light packer; these other two need their own porter to carry all their accessories!! Have a wonderful time! Ireland is a lovely place to be. Thanks! It is lovely, but trying to eat healthy is proving a challenge. So far he’s managed to not get us kicked out of anywhere….so far! 😂😉😂 Although he has been tempted to scale some church spires and do his King Kong impression. Eeeeeeeeeeppppp!!! I need to catch up with all your Insta pics! I can’t wait to see more upcoming posts about the trip – sounds amazing so far. I hope you’re having a blast on your last few days! Sounds like Finn has been right at home…. Luckily, I got pretty lazy and only did a few Instagram posts for you to catch up on. I’ll have to remedy my slacker ways over the next few weeks! Says the least slacker person I’ve ever *met*!